A bequest is an easy way to make a lasting difference beyond your lifetime. You may choose a specific dollar amount or a percentage of your estate. We recommend you consult with your financial adviser to determine the best gift arrangement for your estate, and to specify “Habitat for Humanity-Spokane” in your will. Your contribution could better the lives of families in Spokane County. 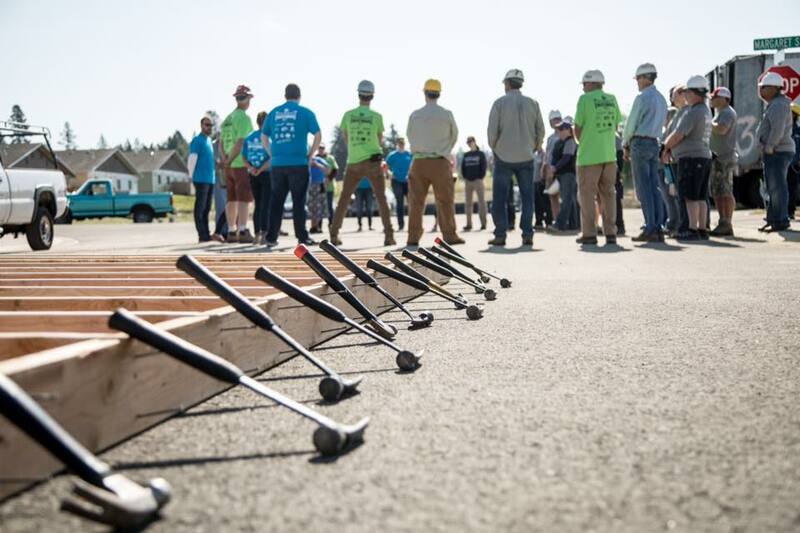 Thank you for considering this form of partnership with Habitat-Spokane. Please let us know if you’ve named Habitat-Spokane, so we may acknowledge your commitment. For more information or to notify us of your intentions please contact our NRI Director at 509-534-2552 ext. 18 or email. By contributing a gift of stock, many donors may benefit from tax savings that allows them to give more at no greater cost. Please consult with your financial advisor, attorney, or accountant to determine whether this is a good option for your circumstances. For security and simplicity, we recommend that you make a direct transfer of securities to Habitat for Humanity-Spokane’s brokerage account. For more information or to notify us of your intentions, please email mgirardot@habitat-spokane.org. What if you could avoid the hassle of selling a piece of property with out having to worry about getting a fair price and at the same time realize valuable income, estate tax deductions, and help a family in need realize safe and affordable housing? We can help make this your reality when you consider making a charitable gift to Habitat for Humanity – Spokane! In general when you donate a home, property, land, etc. Habitat for Humanity-Spokane may build on the property or sell it and channel the revenue towards home building, homeowner education, or operations. There are so many ways to give a hand up to families in need in Spokane County. Donate real estate today and give a hand-up, not a hand-out. For questions about land needs or to notify us of your intentions, please email mgirardot@habitat-spokane.org. Donate a car to Habitat-Spokane’s “Cars for Homes” program and help build homes in partnership with our community. To learn if your donation may be tax-deductible, consult the IRS or your tax advisor. For further information please call our office at (509) 534-2552. Call (509) 534-2552 or email cweedman@habitat-spokane.org to learn more.